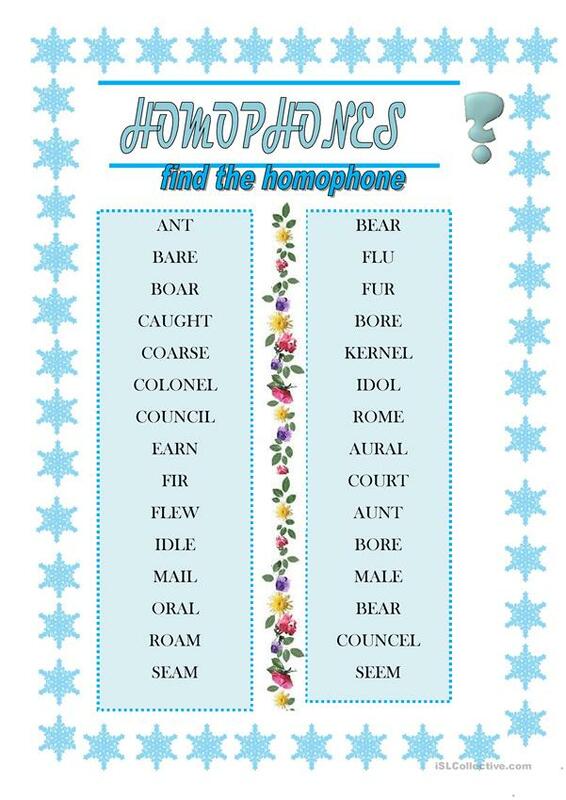 Sts match the two homophones. This downloadable handout is intended for high school students and elementary school students at Elementary (A1) level. It is a useful material for practising Homonyms (two words with the same pronunciation - homophones and homographs) in English, and can be used for improving your class' Spelling and Reading skills. It features the theme of Homonyms and Words easily confused.